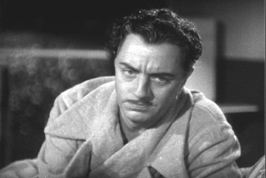 Powell in MY MAN GODFREY. 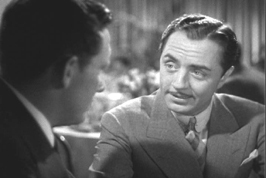 William Powell was "Mr. Sophistication" during the 1930s which he delivered with class and a sense of humor. Powell was born on July 29, 1892 and he died in 1984. William Powell's defining role was opposite the beautiful Myrna Loy in the six THIN MAN movies. Powell's other notable films include: MY MAN GODFREY, THE GREAT ZIEGFELD, and MISTER ROBERTS (Powell's last film) which was made in 1955.